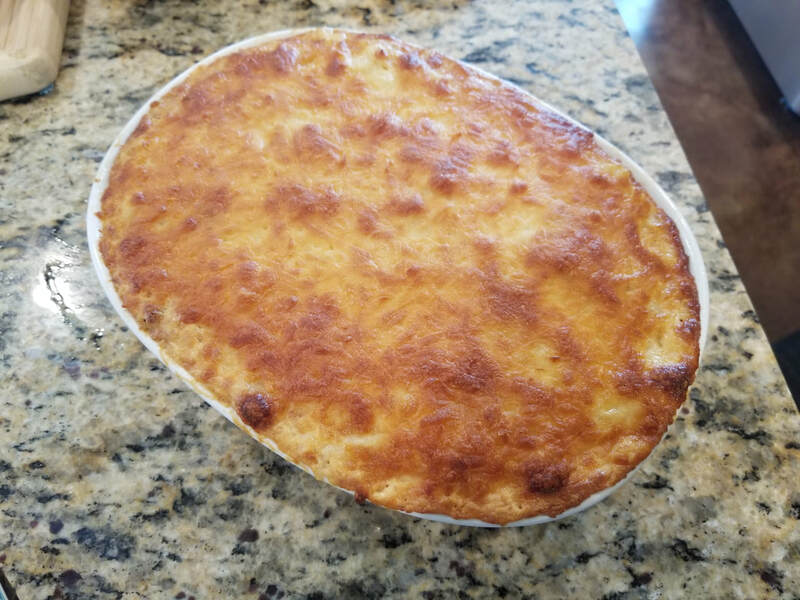 Makawoni au Graten, Macaroni au Gratin, whatever you want to call it, is just your traditional Haitian version of a well-loved recipe, macaroni and cheese. 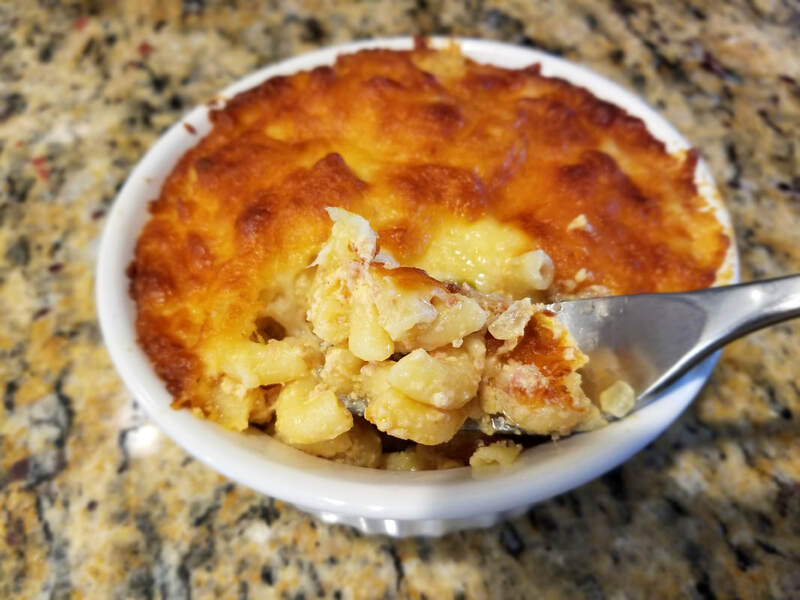 As with many other Haitian dishes, there are a variety of ways this dish is prepared, however, the key ingredient remains the same: Gouda cheese. 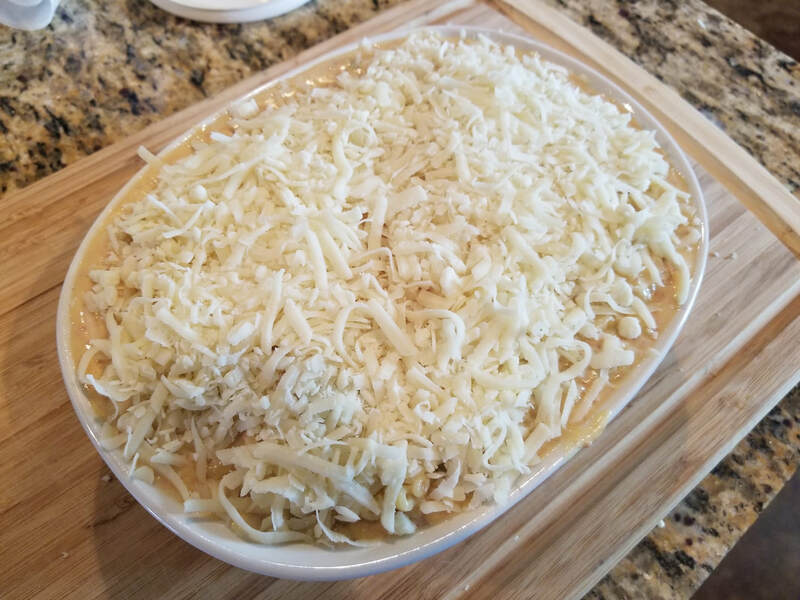 Also, this oven-baked cheesy concotion also must have carnation/evaporated milk and is usually baked until a dark golden-brown cheesy crust is formed which is what sets it apart from the rest. 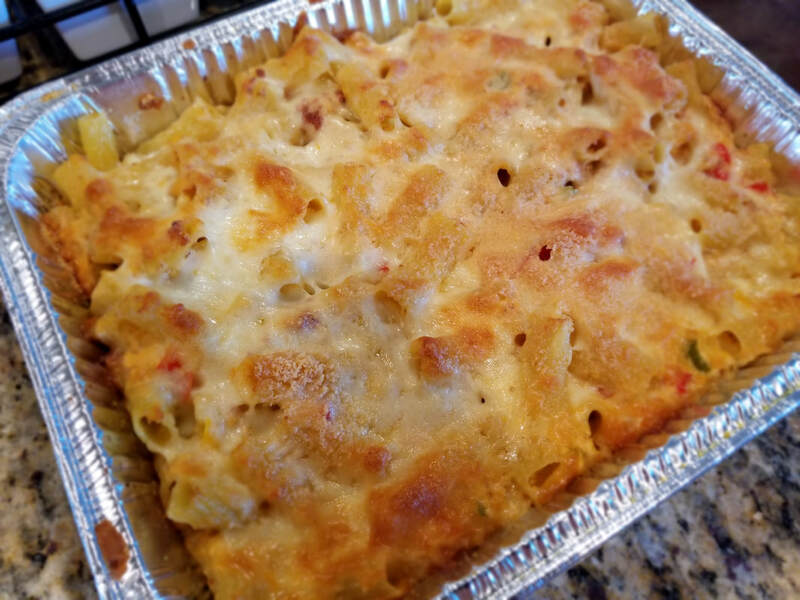 In the future, I may include other variations of this classic, most notably some of my aunt's take on this dish. In the meantime, I hope you enjoy my take of Makawoni au Graten to share with your family and friends. 2. 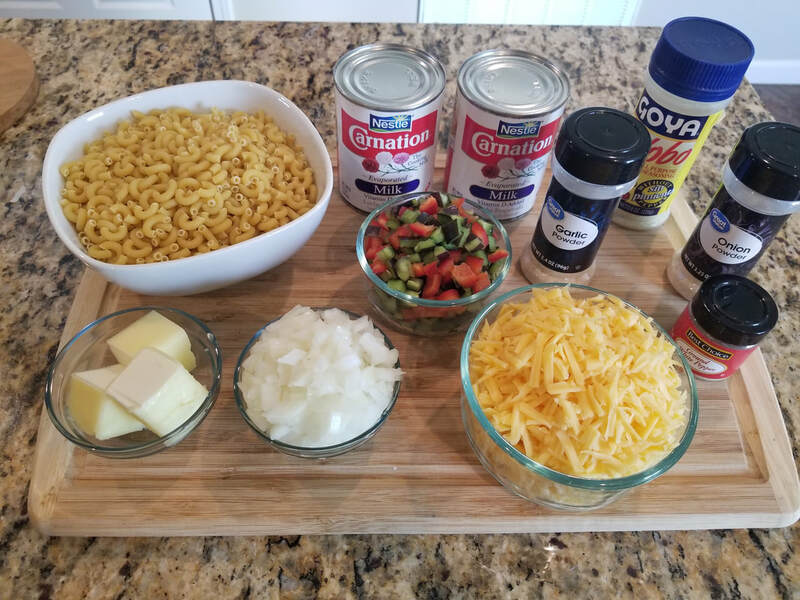 Shred 1 package of Gouda Cheese (8oz.). 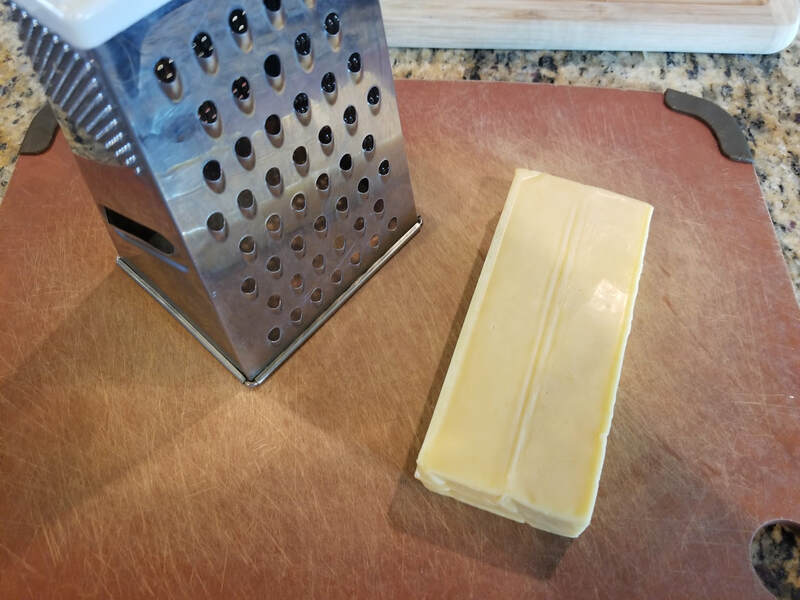 I was unable to find pre-shredded Gouda cheese and had to grate it on my own. Gouda Cheese is the star of "Makawoni au Graten". 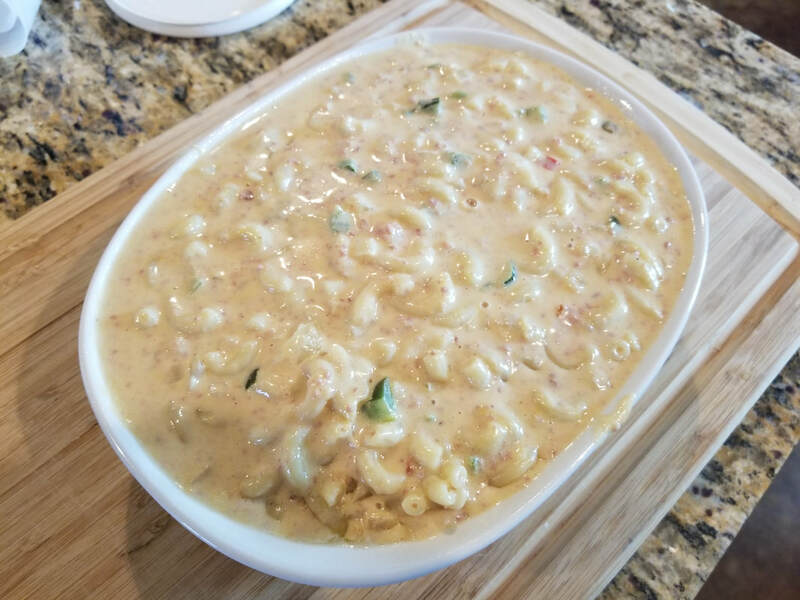 If desired, you can use all Gouda. 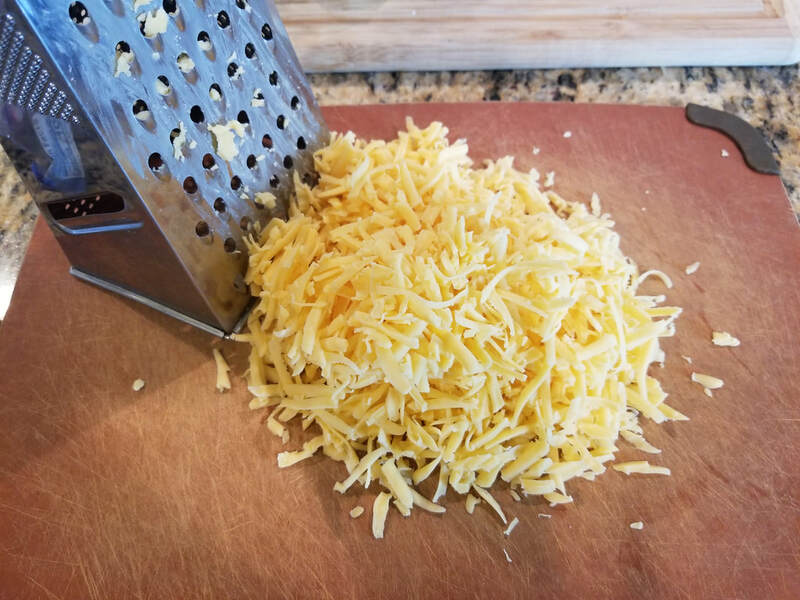 All the cheeses you use will need to be shredded if not already pre-shredded. 3. 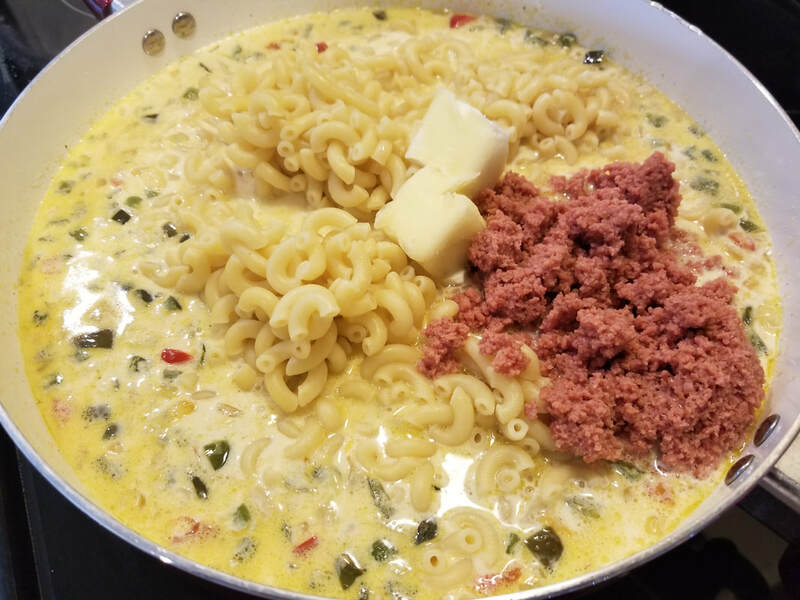 (Optional) Makawoni au Graten can be meatless or have some form of meat. In this recipe, I'll be using hotdogs which you can emit if desired. 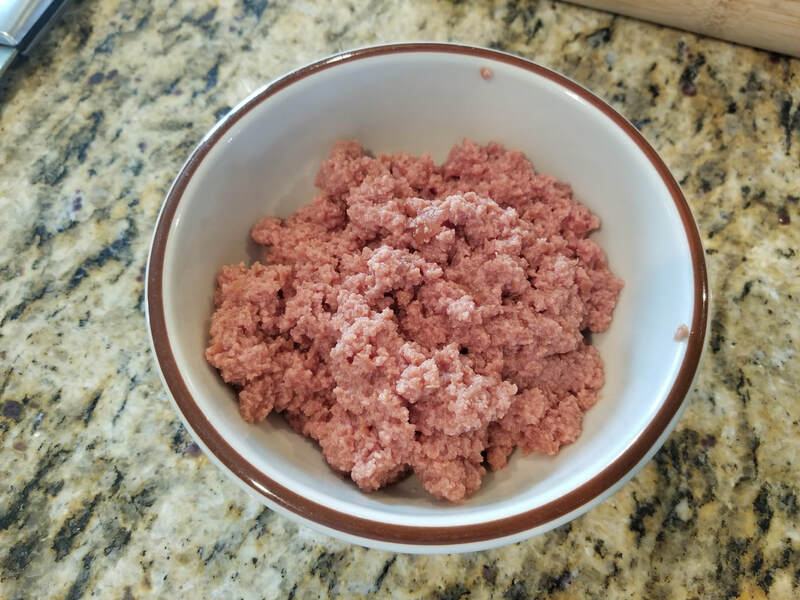 Other options are ground turkey, ground beef, diced ham or deli meats. Literally, the choice is yours and you can always experiment with what you like! 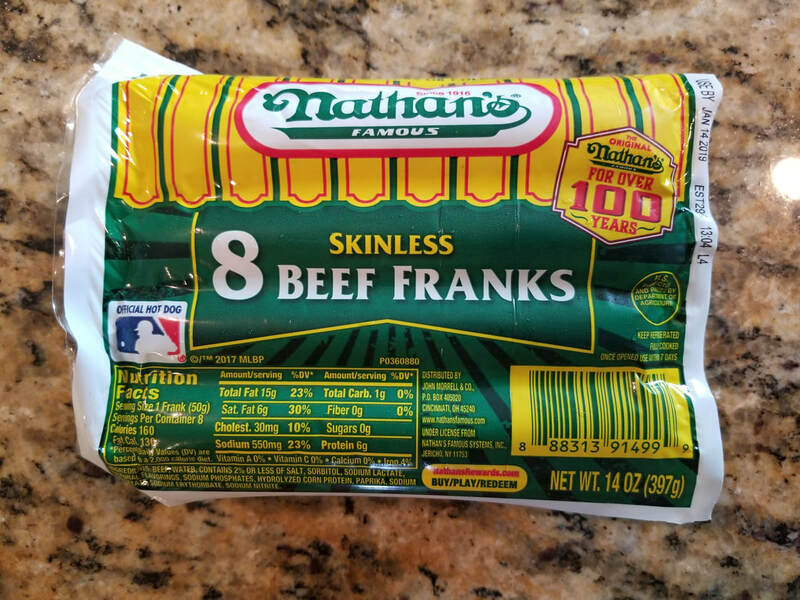 If using hotdogs, I personally prefer Ball Park brand or Nathan's Skinless Beef Franks. 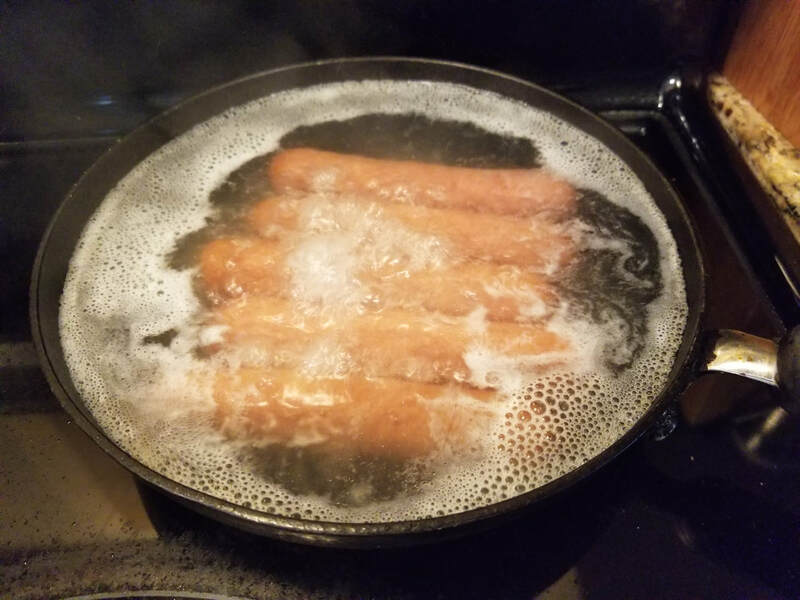 Boil 4 - 6 hotdogs until cooked through. 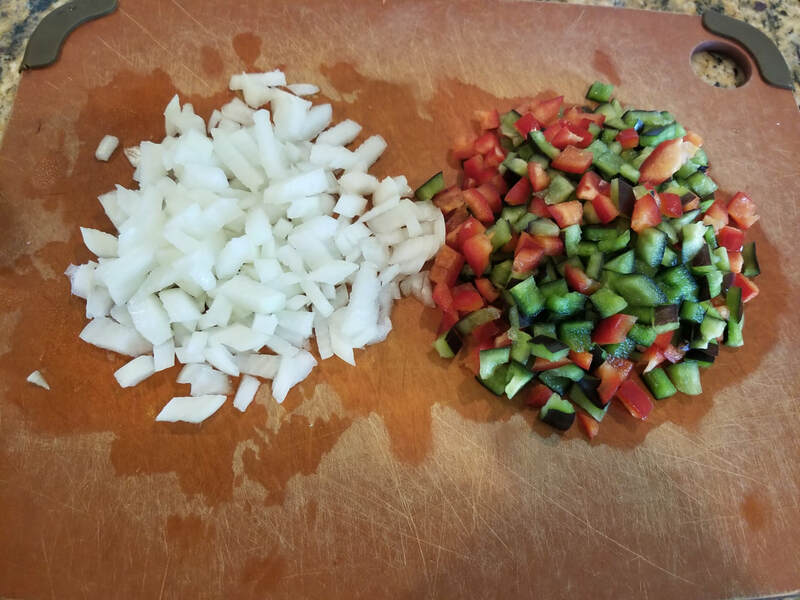 When cool enough to handle, you can either grate them, chop them up through a food processor, or dice them into small pieces. Again, the choice is yours! Below, I've grinded them down through a food processor. 4. 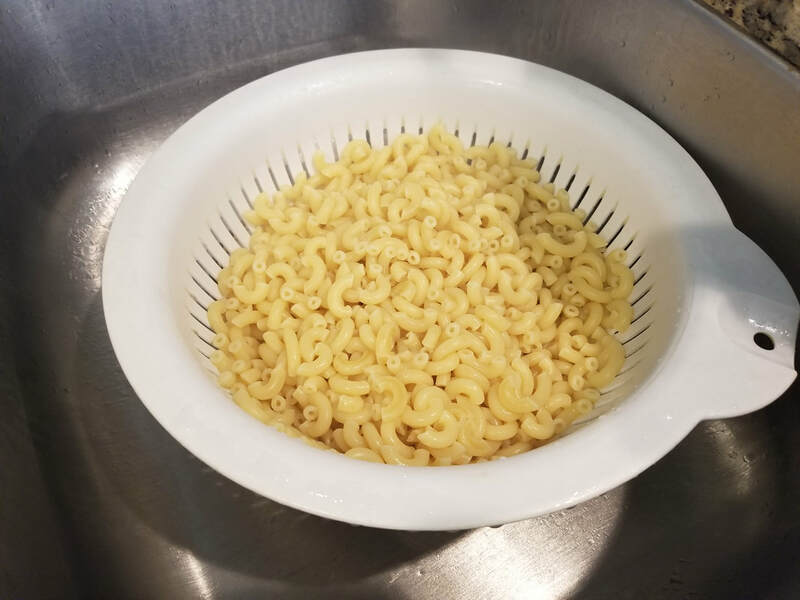 Cook pasta according to package directions, drain, and set aside. 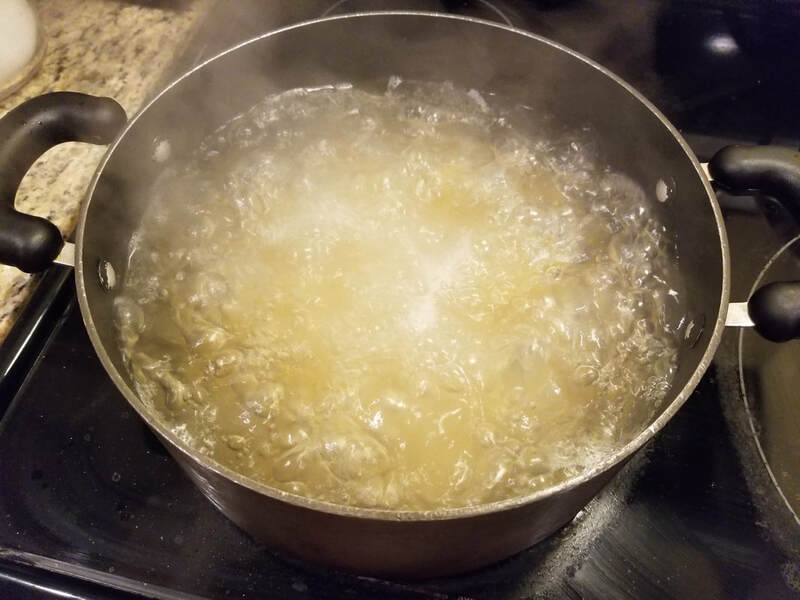 Reserve about 1/2 cup of the pasta water and also set that aside. 5. 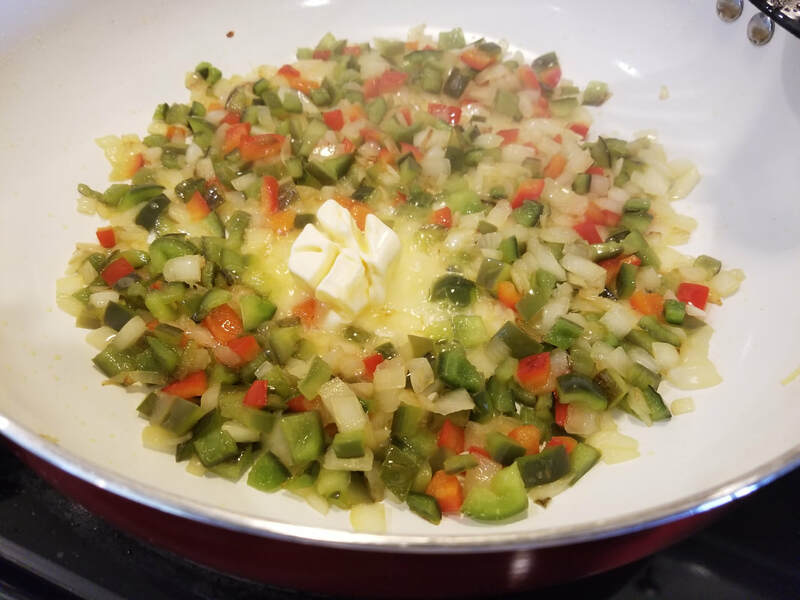 In a large pan/pot on medium high heat, add 3-4 tbsps. 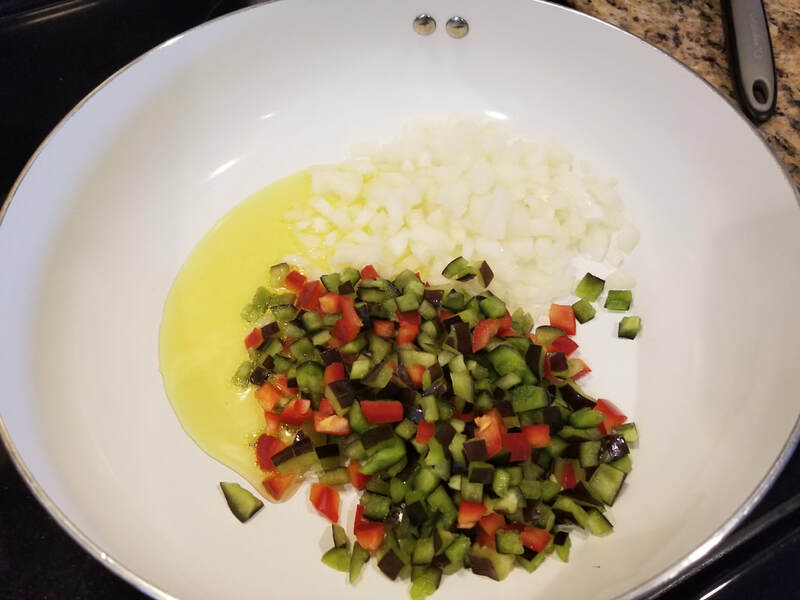 oil along with the diced bell peppers and onions. 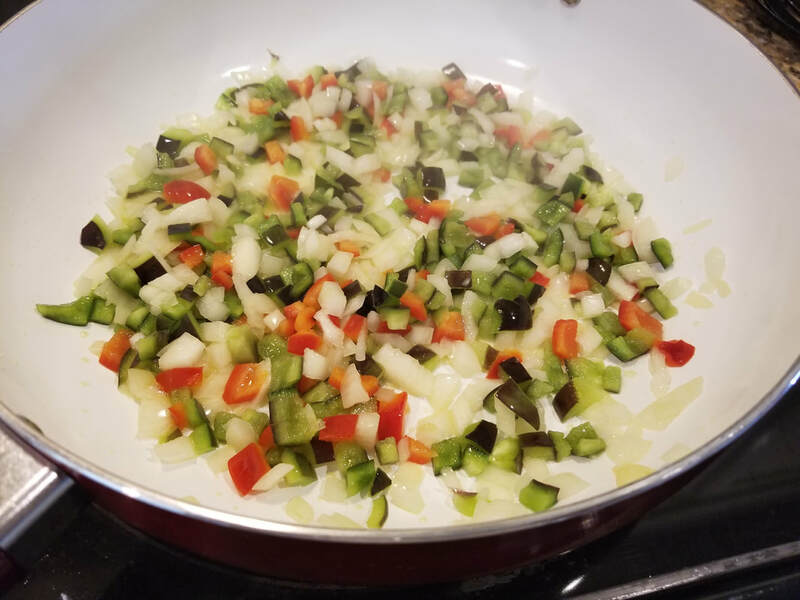 Saute until tender, roughly 3 - 5 minutes. 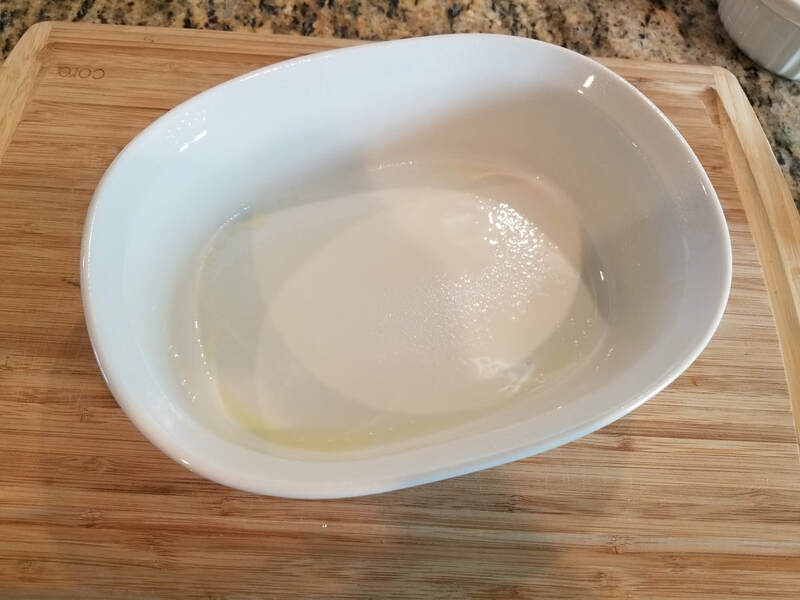 When it starts to dry, add in 2 tbsps of butter and mix well. 6. Add in the seasonings (1 tsp Goya Adobo, 1/4 - 1/2 crushed Maggie, 1/2 tsp. 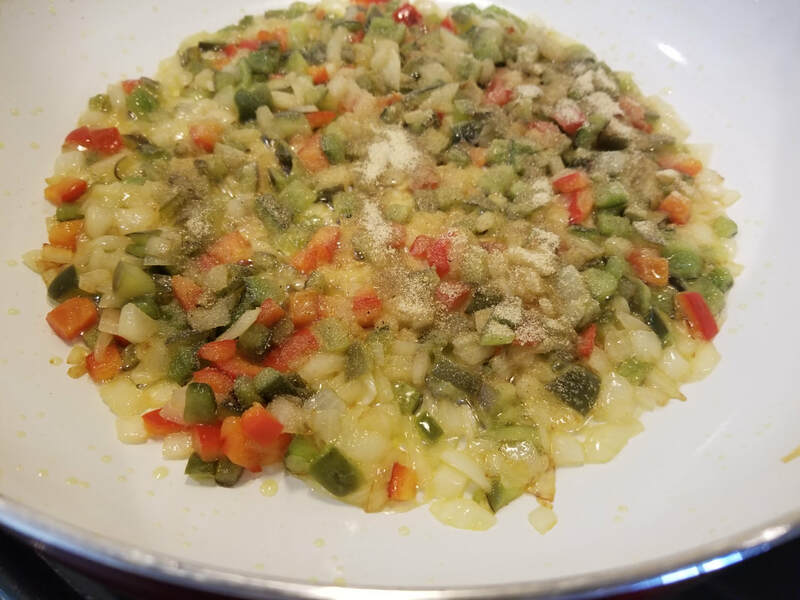 Garlic powder, 1/2 tsp. Onion powder, and 1/2 tsp. 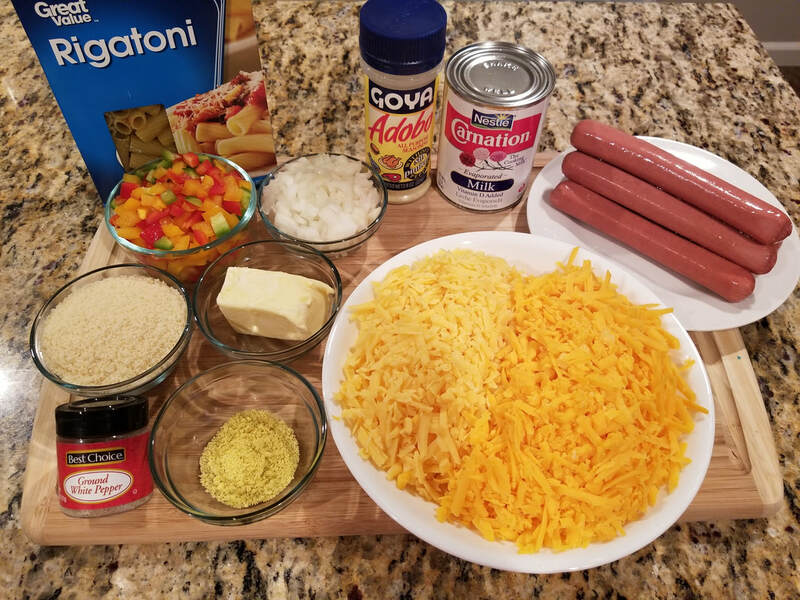 ground White pepper), the 2 cans of Carnation milk, the 1/2 cup of reserved pasta water, along with the cheeses (Gouda and Sharp or Montery Colby Jack), hotdogs, and remaining butter. 7. 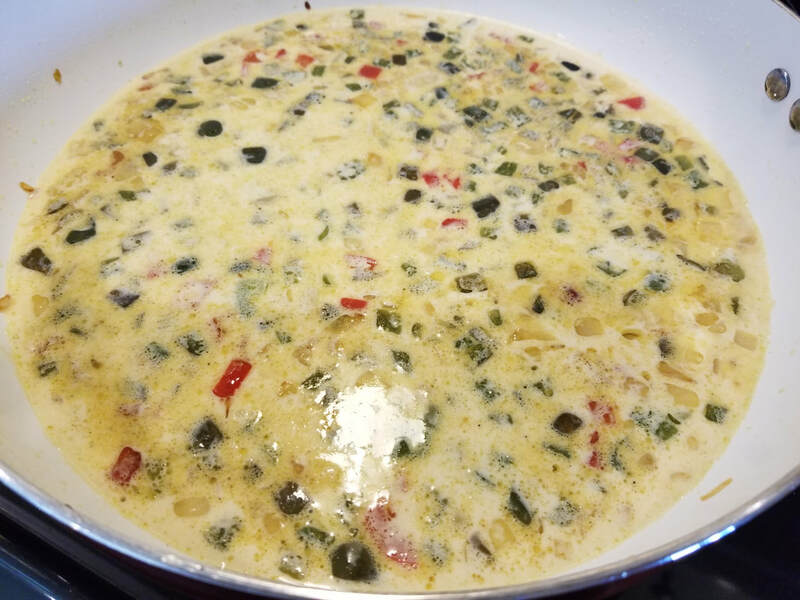 Mix all the ingredients to incorporate thoroughly and allow it to come up to a simmer. 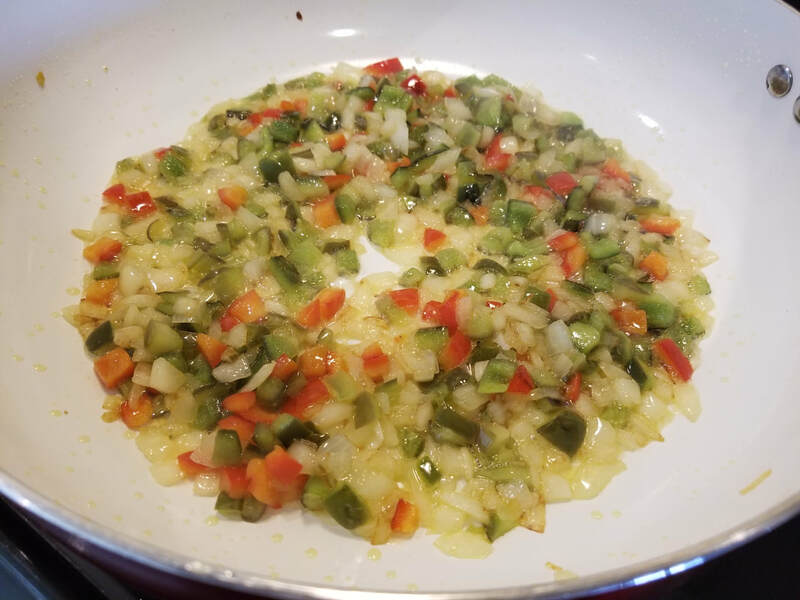 At this point, you may also taste the sauce and adjust seasonings/salt to taste accordingly. 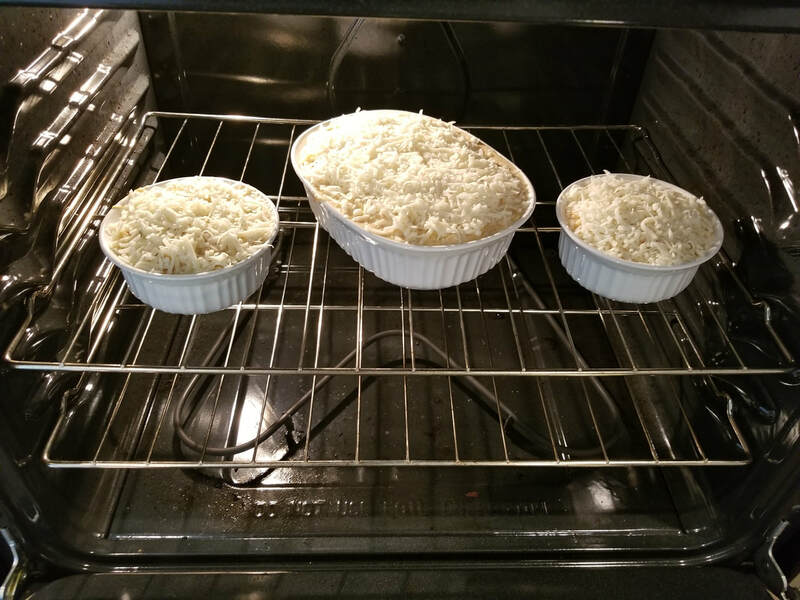 Lightly grease/spray your baking dish and pour the contents evenly. 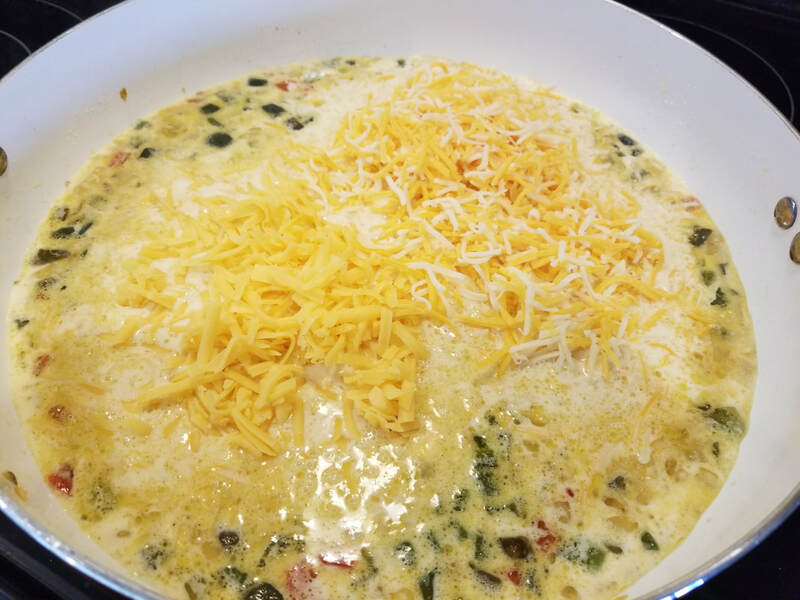 Sprinkle the top with the Parmesean/Mozzerella cheese combo. 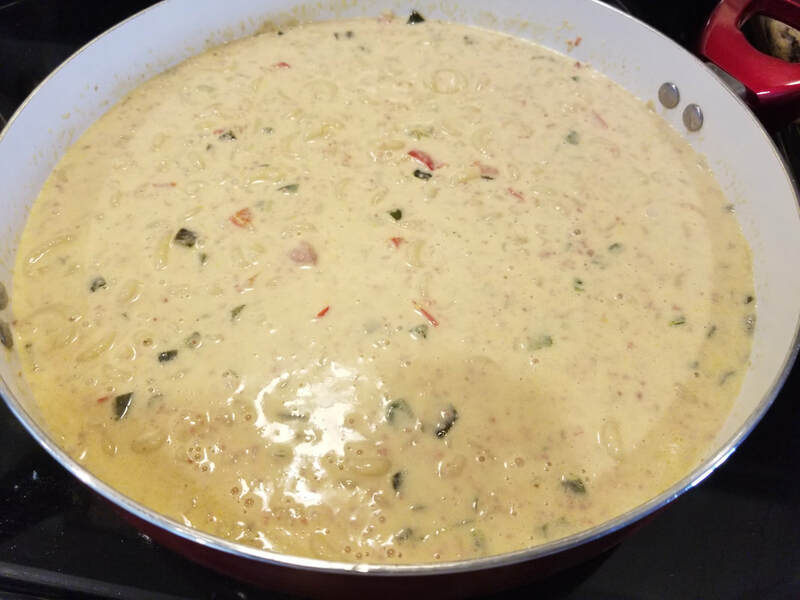 Makawoni au Graten is ready to be served! 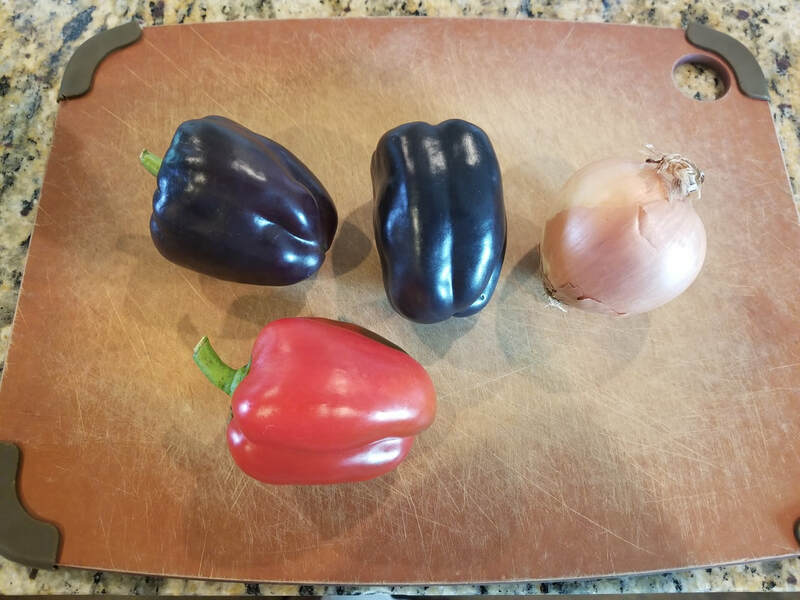 What are your thoughts on this recipes? 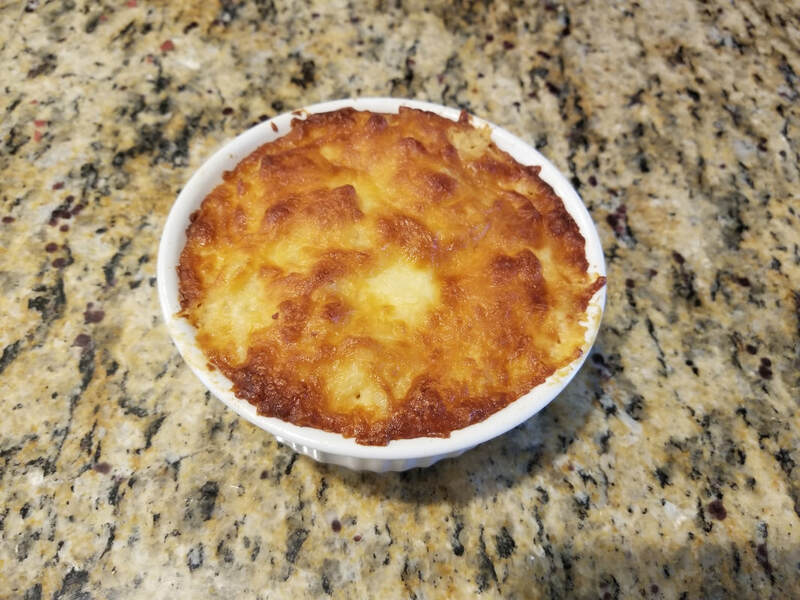 What meats, if any, do you like in your Makawoni au Gratin?